Some children seem drawn to math-related subjects while others try to avoid anything with numbers like it’s the plague. If you have a child who dislikes math, it can be a difficult hurdle to overcome. At its worst, the problem can cause anxiety so intense that math-phobia is a term educators commonly use. If the thought of learning math strikes fear into the heart of your otherwise bright young student, you can decrease your child’s apprehension by teaching him or her that math concepts can actually be a lot of fun to learn and apply. Let’s be honest: flashcards and worksheets can be pretty daunting, especially if you don’t understand what you’re supposed to do with the numbers that fill them. A great alternative is to think of real-life math applications and demonstrate them to your child. Need to take measurements in order to hang a painting level on the wall? Invite your kid to help and explain how each step relates to the outcome. Need to bake cookies for a potluck? Have your helper assist as you double the recipe so there’s plenty to go around. Or what about when you need to calculate the drive times for your upcoming road trip and mix the right amount of snacks for the car ride? Have your child help. This will help ease math worries, show you support them, and build their confidence. When you start paying attention, you’ll find you use math every day, no matter your profession. This is why math skills are so important. Keep in mind a caring and kind environment is best when overcoming math-phobia. When kids are relieved of pressure, it’s easier to focus on fun math activities so the magic of learning can take place. 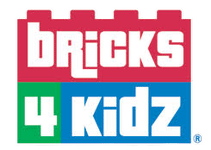 Bricks 4 Kidz classes are created to help kids learn math skills in an enjoyable, low-pressure environment that boosts self-esteem while building a child’s comfort with math concepts. Can building LEGO® projects really help your child overcome math worries? To better understand the relationship between Bricks 4 Kidz programs and growth in math and science skills, the company contracted with Advanced Education Measurement (AEM) to perform the first-ever national study of program effectiveness. Not only did the study results confirm that kids who completed the program improved math and other STEM skills, but the kids also showed an increased affinity for math. Children were asked “How scary is math to you?” and scores from before and after the Bricks 4 Kidz program proved they felt less apprehension about math in general. As a parent, helping your child overcome a fear is always difficult. When that fear is related to learning, it can leave you feeling helpless. But when you provide plenty of opportunities for fun math activities, you have the power to help your child escape the tension that math creates so they can succeed.